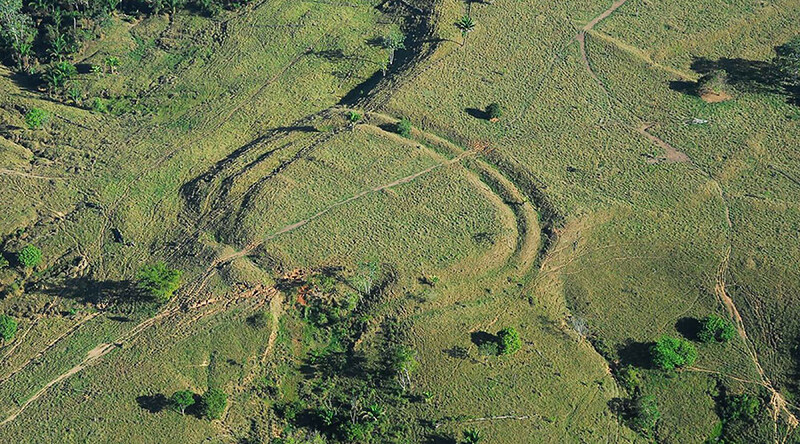 Hundreds of mysterious ancient earthworks discovered in the Amazonian rainforest are believed to have been created by indigenous people more than 2,000 years ago. More than 450 geometric enclosures occupy a 13,000 sq km (5,000 sq miles) area in Acre State in the western Brazilian Amazon. The site had been concealed beneath the rainforest for centuries, becoming visible again after more recent and widespread deforestation. Archaeologists found very few artifacts during excavation and say it’s unlikely they were used as villages or defenses. Instead, they believe the ditched structures may have been ritual gathering places. A team of Brazilian and UK researchers from a range of universities made the discoveries, with the study headed by Jennifer Watling while studying for a PhD at the University of Exeter. She said the finding “directly challenges” existing theories about human impact on the rainforest. “The fact that these sites lay hidden for centuries beneath mature rainforest really challenges the idea that Amazonian forests are 'pristine ecosystems,” Watling said. Details of the extraordinary find have been published in the ‘Proceedings of the National Academy of Sciences of the USA’ (PNAS). “We reconstructed environmental evidence from the geoglyph region and found that earthworks were built within man-made forests that had been previously managed for millennia,” the team’s research paper notes. 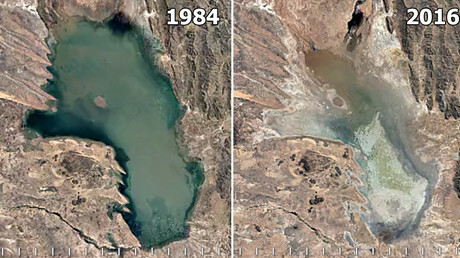 Watling warns, however, that the evidence of ancient forest clearing should not be used to justify modern deforestation. Instead, she says, the indigenous knowledge should be cited as an example of “sustainable land-use alternatives”.